People will be denied for debt consolidation and refinancing. We will see crypto-currency related bankruptcies in the New Year. To review our predictions and share his insight, I’m joined today by our Manager of Consumer Insolvency, Scott Terrio. We’ll look at issues like whether the new mortgage rules impede Canadians’ ability to consolidate their debt and what impact home prices will have on insolvencies. On January 1, 2018, stress tests were extended to people who had more than a 20% down payment. This means Ontarians will have to qualify for a mortgage at a 2% higher interest than they are actually paying. This new rule will affect people looking to refinance to pay off their debt. We have begun to hear from a few clients contacting us because they cannot qualify for refinancing. It’s early, but some small warning signs are already there. Scott warns that if you’re carrying unsecured debt and waiting for the peak housing season to refinance, you may not even have this option available to you, unlike in previous years. Why? Because banks can change the terms of a home equity line of credit (HELOC) at any time, including the interest rate and the amount you’re allowed to borrow. With this in mind, Scott recommends creating an actual plan to pay off debt, rather than to rely on a consolidation loan. Read more: Will a second mortgage clean up your debts? While condo prices are still soaring, detached and semi-detached houses in and outside of Toronto are decreasing in value. With debt to income levels of $1.71 for every dollar earned, lowered home equity limits a homeowner’s borrowing room. So, if consumers have maxed out all of their credit vehicles, have high unsecured debt, and cannot rely on a home equity loan, more consumer proposals may be filed as a result. This is because with a consumer proposal, you can keep all your assets and pay down debt. It also allows you to avoid bankruptcy. As this second bankruptcy type is very similar to the first, it’s still early in the year before we see any effects. But, Scott suggests that before you even face either of these cases, first consider reviewing your spending. He then suggests creating a worst-case scenario. Ask yourself if you can afford to live the way you are living now. If interest rates go up another full point over the next 12 months, what is going to be affected? Read more: Second mortgage or interest-free consumer proposal? Crypto-currency trading made headlines last year, with many people seeing their investments go up. But, it’s a highly volatile market. We’d talked to some people who were really drawn into this new currency and hoping to profit from it. Worse some are taking on debt to buy their bitcoin. For more detail and analysis on our predictions, tune into today’s podcast or read the complete transcript below. 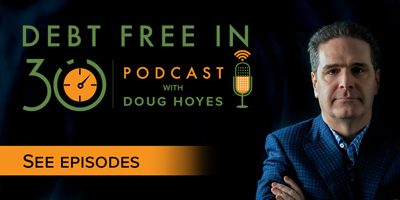 Doug Hoyes: Back at the end of December 2017, Ted Michalos and I recorded our prediction show for 2018. And we predicted that there would be three types of bankruptcies that we would see more commonly in 2018 than we had seen in the past. So here we are getting through the first quarter of 2018. I thought we would revisit those predictions and see whether or not we were accurate or not. And since I’m in Toronto today, I’ve asked Scott Terrio to sit in and defend Ted’s predictions, even though of course Ted isn’t here to defend them. So, there were three types of bankruptcies that we thought would increase in 2018. And I want to get Scott’s opinion on each of the three, because Scott’s here in Toronto meeting with all sorts of people. In fact, we’re recording this podcast early in the morning, and we’ve got I think a dozen appointments on the calendar after today. So we’re seeing lots of people. We’ve got lots of data to draw from. Here are the three types of bankruptcies that we thought would increase in 2018. The first one was that we thought that there would be a lot of people denied for debt consolidation loans and refinances, primarily due to the new mortgage rules. Number two, we thought that people would be dealing with lower home equity and as a result, in a softer market they may end up filing more proposals; and we’ll explain what we meant by that. And then the third one we talked about was cryptocurrency-related bankruptcies, people who invested in bitcoin and things like that and ended up getting into trouble. So let’s go to the first one, people denied for debt consolidation or refinancing because of the new mortgage rules. So Scott, I think everyone’s quite familiar with what we’re talking about. The government changed the rules, making it more difficult to qualify for a mortgage. Back I think it was 2016 they put in a stress test for people who are getting insured mortgages, meaning they had less than a 20% down payment. Starting January 1, 2018 those stress tests were extended to people who had more than a 20% down payment. And, I’ll over simplify it, but basically you had to qualify at a mortgage interest rate about 2% higher than what you were actually paying. So even though maybe the interest rate was 3%, you had to qualify at 5%. So are you seeing, of the people you meet with, people who are coming in saying ‘Yeah, you know I thought I would be able to consolidate but I’m having trouble’? Scott Terrio: I’ve had a couple of those. That’s pretty infrequent, but to have a couple of those already in 2018, and we’re only, what, halfway, just the start of March here. Doug Hoyes: A quarter of the way through, yeah. Scott Terrio: Not even halfway through March, so we’re not even half way through a third of the first quarter. That’s a terrible thing to say at 8 o’clock in the morning. Anyway, everybody can try and figure out what I just said there. Doug Hoyes: We’ll take a sip of coffee and then continue on, yeah. Scott Terrio: But yeah, more coffee, yeah. But to have at least two or three people mentioning that already, people are thinking about this stuff, right, because if you look at the amount of consumer debt out there, it’s what, a buck 71 now for every dollar of income, record high. There’s loads of household debt. And as you know, from our data, at Hoyes Michalos here, people who have houses tend to have about 20, $25 thousand more in consumer debt, so non-mortgage debt, than people who rent. And we can talk about that more too, but that’s always to me a big number in terms of increase over other people. So what people have been indicating is, the homeowners who we see are saying things like cast-off remarks like ‘Well I won’t be using my home to get out of this mess’. And you know, you maybe not follow that up with any more questions, but I guess it implies that either their equity has shrunken in their homes with the housing price drops, or it depends where they live; obviously not every area is the same. But if you have a house that’s down 10% let’s say, and I think that’s pretty common across the greater GTA, maybe not the core of Toronto with detached 416 isn’t going to be affected that much that way. But you’ve probably dropped a good chunk of money in terms of equity in the last 10 months, right, because the peak was last April or May say. Doug Hoyes: Yeah, April/May. And you’re right. The market is different. The condo market – again we’re recording this sort of towards the end of the first quarter of 2018 – the condo market in Toronto seems still pretty strong, but the detached markets, so townhouses, detached homes seem to have come down more. Scott Terrio: Especially in the outer rim. Doug Hoyes: And then yeah, you go to the outer rim – I mean I was in Oshawa recently, the market is certainly down there. So the farther away you get from the core the worse it is. Scott Terrio: Yeah. And one thing I noted this morning when I was thinking about this stuff was, I remember seeing a number not too long ago, maybe three or four months ago, maybe December, someone saying that if the new rules had been in place in 2017 we would have – something like 81 thousand people would not have qualified last year under the new rules this year. That’s a huge number. And I’ve mentioned this before I think, but to me that’s shocking. That’s a massive number of people who wouldn’t have been able to refinance to pay off their consumer debt. Doug Hoyes: Yeah, and when you think about it – you made the key point that people who own homes obviously have a mortgage that the people who don’t own homes don’t have, but they also have more unsecured debt than people who don’t own homes. So again, you know really rough numbers, and you can go to our website at Hoyes.com and look all this stuff up. But you know, if our typical client has around $50 thousand worth of unsecured debt, credit cards, bank loans, Payday loans, the guy who owns the house might have 70, $75 thousand worth of unsecured debt. And it’s easy to understand why. I buy a house, well now I’m going to go and buy furniture, I’m going to do some renovations; that all leads to unsecured debt. Scott Terrio: And the other thing it does too Doug is that it makes you more credit worthy. Doug Hoyes: Mm-hmm, because you own a house. Scott Terrio: Yeah, so if lenders are, you know, if you walk into a bank to do a basic transaction and they offer you something, which they do, you’re going to be a lot more likely to be approved if you have a house with that equity sitting there or whatever. Or even if you don’t have a lot of equity, you still are a homeowner. So they don’t need too many boxes to tick off to give you another Visa or line of credit do they? And that’s part of what happens is it’s just more tempting for all parties to have more debt. The lenders, they want to sell you more debt. You’re tending to say ‘Yes okay, I can probably handle this.’ Whereas if you’re a renter they might not look at you quite the same, and that’s part of what happens with that. Doug Hoyes: Yeah permanence, is more likely to want to lend to you. So you’re right, you own a house, you can borrow more. Doug Hoyes: It’s kind of, you know that’s just the way it is. So even though I have more debt and more carrying costs, I can actually borrow more money. Scott Terrio: Right. And there are a couple of things about this, using your house to fund your other debt too. Some people are maybe not serial refinancers, but they’ve done it once or twice – I’ve seen three or four times – over the course of maybe a five or six-year period. Doug Hoyes: Yeah, every couple of years you go back to the well. Scott Terrio: Yeah, they run up their unsecured, they say ‘Okay, well I’ll just throw everything back into a refinance’. Well a lot of those people are not going to be able to do that practice anymore. And so if you take that pool of people okay, now they have to do something else about their debt. Because I think people are getting tight enough now that if any kind of event happens, like a recession or something, you know, you’re going to have people who can’t run to that well anymore, right. And then I think there are probably another larger pool of people who haven’t done that typically but now they’re thinking about it because, you know, they’ve got to the point where, as I said, the consumer debt is a buck 71 for every dollar of income. Well that affects everybody, right. 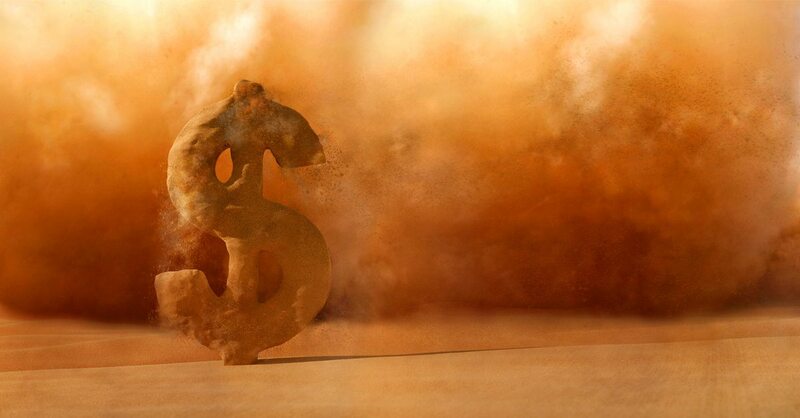 So if you are running out of steam and you’ve maxed out all your other credit vehicles, and now your house, you’re not going to qualify for the refi, well now what do you do, right? So I think there’s a larger pool of people who are going to be faced with that decision as well. Doug Hoyes: Yeah, I totally agree. And so we’re talking about two different points here, people who are denied for a debt consolidation or refinance because of the new mortgage rules. And I guess the answer is, at this point in time we are not seeing a wave of those people. Doug Hoyes: Yeah, it’s early. You changed the rules on January 1st, well it’s not like on January 2nd everyone’s beating down our door. Scott Terrio: Yeah, and we’re not even into a housing, like the peak housing spring period yet, right, so people aren’t forced, or aren’t facing a decision ‘Do I sell in the spring period and get out and take my money or what?’ right. Doug Hoyes: Yeah, it’ll be interesting to see what happens April, May, June when we get into that period. And the stats I’ve seen indicate that in 2018 about 40% of mortgages renew, meaning you’ve got to go back and refinance. Now of course some of those are variable rate mortgages so in effect they’re renewing every month – the interest rate I’m talking about. And then others, if you had a one year last year, well of course it’s coming up for renewal. Scott Terrio: They don’t want you going down the street. Doug Hoyes: No, and even if house prices have gone down a little bit, it’s not like they’re going to say ‘Oh, we’re pulling the mortgage back’. It’s not going to happen. Scott Terrio: It’s not like a crash. I mean they’re just, you know everything’s levelling off maybe, but. Doug Hoyes: But, if interest rates are higher – and remember, the Bank of Canada raised interest rates by a quarter point in July and then again in September, and then I think it was January of this year. So there have been three quarter-point increases, which doesn’t sound like a lot, but if your interest rate was 3% and now it’s getting close to 4%, that’s not 1%, that’s one over three, that’s 33%. Scott Terrio: And yeah, the increase is huge, right. Scott Terrio: Percentage wise. And then also, it also affects multiple things. It doesn’t just affect your variable mortgage. It affects your lines of credit that you have, right. So if you have two or three lines of credit unsecured plus your mortgage, all of a sudden that three-time increase of 0.75 is going to affect all of those things. So it isn’t just a hundred bucks here or 50 bucks, it’s all of those combined. And so as long as your household can afford another couple of hundred bucks a month, which a lot of them can’t – because there was a study last year by somebody that said exactly that. It was a huge number of Canadians couldn’t handle a $200 increase in their monthly expenses. Well there it is. Doug Hoyes: Well, did your pay go up by 200 bucks this month? Doug Hoyes: Because if it didn’t then you’ve essentially got a problem; so yeah, a lot of different factors that are playing into it there. So I guess the answer to the first two parts of the question is, as of this point in time, no, we are not seeing it. Now I will throw in one more data point there, and that is the Hoyes/Michalos homeowners’ bankruptcy index. So this is something we calculate every month, and you can again go to Hoyes.com, or just go to Google and type in Hoyes/Michalos homeowners’ bankruptcy index, and it is the percentage of our clients who own a home at the time they file a bankruptcy or a consumer proposal. And it is at record lows. It’s been bouncing around sort of the 5, 6% level for the last few months, meaning essentially none of our clients own a home at the time they file a bankruptcy or consumer proposal. Doug Hoyes: Yeah, well they owned a house but there was very little equity in it. And as a result, ‘Well, I’m not going to lose my house if I go bankrupt because it’s not worth anything, I didn’t have to worry about it’, whereas now obviously that’s a bit of a different situation because the equity’s higher. So maybe you can just, so that everyone knows what I’m talking about here, if you go bankrupt and own a house, what happens? 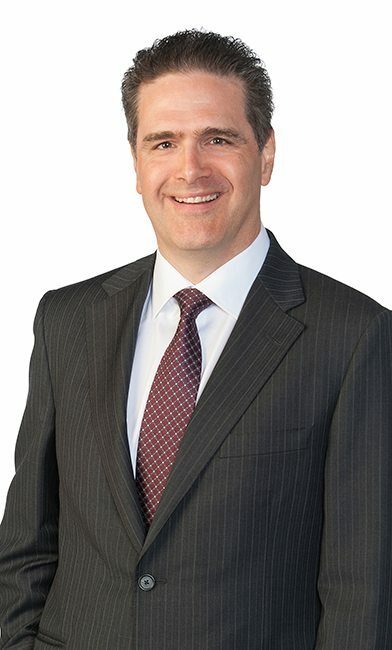 Scott Terrio: Okay, so what happens in a bankruptcy is home equity is non-exempt – and this is provincial legislation, so even though the bankruptcy law is federal, every province guides property. So it’s a federal law subject to provincial. So I probably just lost everybody. I’m sorry if I did that. I’m trying to clarify and I’m making it worse. But that’s the law. And what it says is, in Ontario you have a $10 thousand exemption on home equity. So if you file a bankruptcy, the first 10 thousand equity doesn’t count essentially. And if you have 30 thousand or 40 thousand in equity, the trustee is then interested on behalf of the estate in that difference, and that would be an asset seizable essentially. Now we don’t seize houses and sell them generally. You could pay for that difference in the equity in your bankruptcy. But you keep your house is the important item. Doug Hoyes: Right, and this is a relatively new development over the last few years. And you’re right, there are some nuances. And a lot of this has not been tested in court, so we won’t go into the heavy-duty technical on it. I think if you own a house and you’ve got a lot of unsecured debt, you should come and talk to us and we’ll figure it out. You’re right. Scott Terrio: Right, you have more options than you think [unintelligible 01:13:20]. Scott Terrio: And bankruptcy might be one of them and you might not lose your house, right. Scott Terrio: It’s not a blanket [statement]. Doug Hoyes: You know, five thousand bucks worth of equity in the house, we’re going to say ‘Well, there’s no way for us to seize it’. And I mean you talk about exemptions, and yes, that’s the good word to describe it. It’s different than the way exemptions work for a car, but the concept’s basically the same. If you’ve got $50 thousand worth of equity, well then you’ve got an issue in a bankruptcy because the trustee is saying ‘Hey, where’s our money’. So as a result, people with significant equity either decide ‘Okay, I’ll just sell house’ you know, we take the money. So if you’ve got $100 thousand worth of credit card debt and $30 thousand worth of equity in your house, a lot of people just say ‘Fine, let’s just sell the house. The creditors can have the 30 thousand’ you know ‘I can go bankrupt. I get rid of my 100 thousand in debt, it doesn’t matter’. But the more typical solution is a consumer proposal. Scott Terrio: Yeah, by far. Doug Hoyes: So if I have 30 thousand dollars of equity in my house, what kind of consumer proposal am I looking at? Scott Terrio: Okay, so if you have 30 thousand equity in your house you’re probably looking at – it depends how much unsecured debt you have, because you have to satisfy your pool of creditors. So if you have 100 thousand owing in credit cards and lines of credit unsecured, then you’ve probably got to give them something like 30% is usually what they’ll take in a proposal, over time. So you know, we’d stretch it over time, keep your payments low. And there’s no interest on that which is nice. You get a lot of traction. So if you had 30 thousand equity, you’d probably be looking at offering them 30 thousand on the hundred that you owe, realistically. Because what you’re saying is ‘Okay, you guys want 30%’, so on aggregate you’re offering the creditors 30% based on the 30 thousand equity in your house, because that otherwise would have been something you may have given up in a bankruptcy. So we kind of base it on what would a bankruptcy have looked like here. You might have no intention of filing a bankruptcy. That’s fine. It’s all hypothetical in its math. But that’s how we determine the course of action in the proposal. So it’s kind of your starting point, and then we see who are your creditors, and that’s based on the experience. Like we do a lot of proposals, right, so we know exactly and we track who votes which way. And as long as you get 51% of your creditors to vote yes your proposal will go ahead. So there’s a lot of factors involved, but you keep your house. You know, we don’t measure your income like a bankruptcy after you sign, and you’re free to pay your proposal out over time. ‘Okay, well then I guess if the proposal is better than that 30 thousand,’ then they’re going to take it. Scott Terrio: And the guidance that a trustee gives you is exactly that, right. Like, we say ‘Okay, you present us with your situation. What are all your debts. What do you own’ etcetera. We look at all of it. We look at your income. And we very quickly determine, okay, here’s what you would look at in a proposal. So now we’re offering you all of our experience, and our knowledge of the law and how it works, and how creditors think; that’s I think the most important thing. Like I met with I don’t know how many people yesterday, eight or nine people yesterday, and when you start telling them ‘Here’s what happens in a proposal, and here’s how the creditors think’, you really start watching the gears change, right. You’ve got their full attention now, because they’ve told you their story for a few minutes; okay, that’s great, I’m listening and I’m figuring out as we go. Maybe you have all tax debt, which is a whole different ballgame sometimes, right. It depends what situation you’re in with CRA. But that’s where a trustee’s experience really kicks in with people I think. Doug Hoyes: Yeah, and obviously we’re happy to go through that analysis with you, because it’s not just here’s what the dollars are but here’s how we think it will play out. So I mean I know you and I met with somebody yesterday who has some tax debt, and they haven’t filed their taxes for the last three years. So we said ‘Well, you know what? Those tax returns have to be filed in order for Revenue Canada to consider your proposal, because they have no idea how much you owe.’ You can’t go to them and say ‘I don’t know how much I owe, will you take a deal?’ So it doesn’t matter what the equity in the house is, there are some steps that have to happen first. And you’re right, there are other creditors who say ‘Yeah, we’re a little easier to work with. Maybe we’re willing to take 25 cents on the dollar.’ There are other people who say ‘No, no in this case it’s got to be 35 cents, and we want this special term’ and what not. But you’re right, I mean we’ll do, I don’t know, a couple hundred proposals this month. And we’ve been doing that for years and years, so we’ve got a pretty good track record of what they’re looking for. Scott Terrio: Yeah, it’s a build up of experience, right. And so you can give them a pretty darn accurate idea of where they have to be by the time they leave is the point, right. Doug Hoyes: And that’s what we’re looking at. So okay, so in terms of housing and debt consolidation and that, we haven’t seen a wave of people yet, primarily because the new rules and the slightly lower real estate market, the slightly higher interest rates have not filtered through yet to the people we’re seeing. Are there any other points you want to make on that particular one? Scott Terrio: Well, I’m just wondering what… One of my pet subjects, as anybody who’s read or listened to me knows, is HELOCs, home equity lines of credit, which have gone crazy in the last few years. Canadians are using their home equity like crazy with these things. So part of it is the ease of use. I mean there aren’t too many places or times in life where you can grab 50 grand if you need it. Or maybe they don’t need it, you just want it; that’s part of the problem. But I’m wondering what’s going to happen with home equity lines of credit, just because of the scale of them in Canada at this point. Since equity has gone up so much with house prices rising, especially in the cities, in the last few years, people have suddenly become, on paper, flush and wealthy. Partly it’s an illusion of wealth, because unless you sell your house you’re not cashing in. And house prices can go down, as anybody who’s over the age of 40 or 50 would know. So I’m going to be very curious to see what happens with home equity lines of credit, and how the banks start dealing with those. Because they’ve been giving them out like candy at Halloween, and I’m wondering if there’s going to be a tightening up of that as people of course lose equity, you know, like the person that bought last April, you know, fear of missing out and they went and they borrowed the down payment and then they got the mega mortgage, so they’re double leveraged, right. They’re right to the hilt, and then house prices promptly went down over the next six, eight months. So essentially, a lot of those people will be under water by virtue of just less than a year’s period of time, and so they don’t have access to HELOC anymore because they’re under water, right. So their mortgage is more than their house is worth, that’s what under water means, right. So in that case you don’t even have access to a HELOC. You’re not in the game. So there will be a number of people who are taken out of that picture. And then for the people who do have some equity left, given all the new rules, will the banks start to look at that and say ‘Well maybe we should just back off on this’. Doug Hoyes: Yeah, and the way I think about it in my mind, a HELOC is kind of like a tap, a faucet that can be turned up, it can be turned down. And so when you go and get a five-year mortgage, here’s the mortgage, this is what the payments are, it’s not going to change for five years. It doesn’t matter if house prices drop by 50%, your mortgage payment on a fixed mortgage is fixed, it doesn’t change. But, if you’ve got a line of credit, whether it’s a HELOC, a home equity line of credit secured by your home or an unsecured one, the bank can change the rules any time they want. Scott Terrio: Yeah, it’s open completely. Scott Terrio: Yeah, it’s subject to rate changes. Doug Hoyes: Yeah, and if you don’t like it, well go somewhere else then. Scott Terrio: Yeah, and the bigger your HELOC, right; the average HELOC is 70 thousand. That’s how much is taken out. The average approved amount is 168. So if you’ve got 70 thousand on your HELOC, you’ve got another almost $100 thousand available to you is what the average number is. That’s pretty tempting when you’ve got consumer debt of a buck 71. So you’ve got 70 or $80 thousand in credit card debt and line of credit debt; some people took HELOCs out to pay that off, you know. And so now, is that going to keep happening? Maybe it isn’t, right. But that’s another source of people being able to service or pay off their debt that may go away, right. So what else are they going to do? Doug Hoyes: Yeah. In the past I’ve been able to say ‘Well, you know what? I can put that money on my credit card, because if things go bad, it doesn’t matter, I’ve got lots of empty room on my HELOC.’ Well if the bank lets you know ‘Oh, by the way, we’ve decided to cap your HELOC at whatever you owe us now’, and you don’t get another cent, or ‘We’d like to start converting them to fixed loans so you can actually be paying them down’, then we’ve got a problem. Scott Terrio: We’re just talking about it, yeah. Doug Hoyes: Yeah, we’re just talking here. I mean it’s not like every one of our clients bought a house on May 1, 2017 right at the very peak. So I mean I know, yeah, we sound kind of alarmist in what we’re saying, but hey, that’s our job. Our job is to warn about what happens when things aren’t good. Scott Terrio: Yeah, right. And there may be at some point in 2018, you know, depending on how long this stuff takes to shake out, our point is you may see some of this stuff start to happen, that wouldn’t have happened in the last two or three years. Doug Hoyes: Exactly, ‘What kind of risk am I taking on?’ That’s all I’m saying. I’m not saying you shouldn’t own a house. I’m not some real estate alarmist. I’m just saying to think. Scott Terrio: And sit down and do a budget with yourself. So look at all your expenses in detail, right. So what do we spend right now? What are the last 90 days, what have we spent as a household, right. And you can find that out pretty easily, because Canadians I think are the largest users of debit on earth. So it’s pretty easy to go and find out. Doug Hoyes: Pull up your debit card and your credit card. Scott Terrio: Probably 90% of your expenses are online, right. Scott Terrio: And do that. And then, as you said Doug, then make a worst-case scenario as well, right. Like, can we afford to live the way we are living now if, and then take a bunch of scenarios and figure it out, right. Like, if interest rates go up another full point over the next 12 months, what is going to be affected? So is my unsecured line of credit, that’s going to be affected, yes. The second one’s going to be affected. My husband’s or my wife’s is going to be affected. Our HELOC is going to be affected; our variable mortgage. Like those things are all going to go up. Doug Hoyes: Our mortgage coming up for renewal, so. Scott Terrio: Another one, yeah. Doug Hoyes: Yeah, and if the answer is you do that stress test and yeah, ‘No we’re going to be fine’, okay great, then don’t worry about it. It’s all good. So that’s all we’re saying, don’t be blindsided. And we’re not predicting interest rates are going up a full percentage point in the next 12 months. We’re not saying that at all. We’re not economists. We have no clue. If we did we’d tell you what the lottery numbers were going to be if we could see the future. All we’re saying is, look to the future, stress test it and see. So final point, the third type of bankruptcy that we thought we would see increasing in 2018 is bankruptcies related to bitcoin or cryptocurrency trading. So I mean bitcoin has bounced around all over the place, and I’m not going to tell you what it’s trading for right now because five minutes from now it’ll be totally different. But I mean you go back a number of months and it was a couple thousand bucks a bitcoin, and then it was 10 thousand, then it was up into the 20 thousand range, then it was all the way back to under 10 thousand and then back over, I mean bouncing and bouncing. So we know, because we’ve talked to some people who said ‘Hey, this is the train I want to get on’, and if you take the money out of your savings account and put it in bitcoin and it goes down, oh well, I guess you lost some of your money. But if you said ‘Hey, I’ve got this HELOC, I’ve got this line of credit that I haven’t tapped, this is a sure way to make money, let’s take that money, put it into bitcoin’ or Ethereum or one of the other ones, and then it comes down, then you’ve got a problem. So have you talked to anyone yet who has raised the issue of bitcoin? Or is it still not a thing in our world? Scott Terrio: It’s a thing, yeah. I mean six months ago or eight months ago, no I wouldn’t have talked to a soul. Now it’s, you know probably someone mentions it once a week or maybe twice a week, which to me is a lot because, you know, you go from never to… Like this is a really new phenomenon for the markets, right. And so I think the other issue is I’ve never spoken to anybody, or no one’s ever mentioned it to me who’s over 30. Scott Terrio: A big thing, right. Doug Hoyes: It’s not the seniors who are into this. Scott Terrio: This is the young thing, right. So you know, if you get a millennial or whatever in your office, then there’s a chance they’re going to mention, at least mention bitcoin. And what they’ll usually say, Doug, is not so much that they’ve got bitcoin, but what if, because a lot of what we get asked is what if. The typical one is ‘What if I win the lottery?’ I get asked that by all the four thousand people I’ve filed ever, right, ‘What if I get an inheritance?’ what if, what if. Well what if I decide to buy some bitcoin, right. And so then of course you go through the ‘Okay, well in a bankruptcy I guess it would be this’ or a proposal it would be this, or it wouldn’t matter or whatever. But the point is people are discussing it. I don’t know if we’re going to see anybody filing because of it, but if you’re leveraging crypto, as you said, you’re taking your HELOC to buy 50 grand worth of bitcoin, you might end up in some trouble, because if you look at the bitcoin chart, it’s a rollercoaster. Doug Hoyes: Yeah, and I think the best thing that happened to bitcoin was the fact that it did have this serious correction. Scott Terrio: Big drop, yeah 19 thousand down to nine or eight at one point, yeah. Doug Hoyes: Yeah, it was a big drop. And so at least all the people who were investing in it for four months and thought it could never go down, saw that it could. Hopefully that put the brakes on it for a lot of people and they said ‘Okay, now I do understand this is hugely risky’. Scott Terrio: Eight-nine to early ‘90s, yeah. Doug Hoyes: Yeah, when things came down. So I think the answer to the question is yes we are hearing people tell us about it, but we have not yet had someone come in who said ‘I bet it all, I lost it, now I’ve got to pay the loan back’. That has not yet happened. And I think one of the reasons is it’s still new, and it’s still not really easy to put a lot of money into it. I mean if you’ve got a million bucks in your savings account, you can walk across the street to your stock broker, put the million bucks and buy stock. It’s not that easy to put a million dollars into cryptocurrency. Doug Hoyes: Yeah, I mean typically you do it through an exchange, and so you have to fund the exchange. Well most exchanges are afraid you’re some kind of terrorist or drug dealer, so you’ve got to verify your identity, send them a picture, your passport. You’ve got to put the money in. You can only do it in certain increments, and so you can’t put tons and tons of money immediately. And as a result, I think that puts the brakes on it a bit. You can’t get into as much trouble. Doug Hoyes: Well once the money’s at the exchange it actually is pretty simply to buy and sell. It’s getting it in, but yes getting it out may sometimes be an issue too. And you’re right, you typically don’t want to keep it at the exchange because they can get hacked. You don’t worry about keeping your money at the bank because they don’t get hacked because oh well, banks don’t get hacked, or if they do there’s protections in place. Doug Hoyes: Yeah, that’s just too much. Doug Hoyes: So as a result, you’re right, the 40 year olds, the 60 year olds, the 80 year olds aren’t coming in here saying ‘Yeah, I bet it all on bitcoin’. Scott Terrio: And those people are also at a different stage of their wealth lives aren’t they, right. Like ‘Do I want to risk what I’ve built here?’ Like if you’re 50 or 55 and you’ve built up a… is bitcoin for you, because you might lose it, right. So that’s a whole different decision for that demographic. Well if there was a way to invest in cryptocurrencies and increase your returns that would become tempting for people. But we’re nowhere near there yet. And I still think we will probably see someone this year who, because of cryptocurrency trading, got into trouble, just like we see people every year who got into trouble with the stock market or whatnot. Scott Terrio: Yeah, I think enough time has passed with it that another 12 months we’ll see a handful of people come in and say, you know ‘Hey, I got some bitcoin issues here’. So I think that will happen. I promise to report if [unintelligible 00:31:17]. Doug Hoyes: We will. So I mean I’m certainly hearing reports of people talking about it, we’re just not seeing it. But we will keep an eye on that. And for those of you who listen to this podcast every week, thank you very much. There will be a podcast coming up at some point in the next number of weeks where I’m going to talk to, interview a company that has blockchain technology. So it’s not bitcoin. Blockchain is the technology that cryptocurrencies are based on. But they’re using it for a very interesting application that has a direct impact on the personal financial world. So you’re going to want to listen for that one because it’ll be very cool. So hopefully we’ll be able to provide some information on that. So excellent, well so I guess the answer is we’re still early in the year. The sky has not fallen. The world has not changed substantially. But things are bubbling out there, so protect yourself by looking ahead, doing your own stress test and deciding what you need to do for yourself. Scott Terrio: Yeah, there’s a lot of consumer debt out there. That’s the point, right, is there’s a lot of consumer debt that’s been building over the years. And yes home equity’s been building too, but then house prices have levelled off. So I think there’s a potential for something to happen in this year, or maybe in the next 18 months, and it’s kind of just bubbling, as you said, out there. So nothing yet, it’s early, but I think there’s probably going – people are going to be faced with issues at some point. Doug Hoyes: Yeah, and don’t listen to any of the experts. Don’t listen to what we predict for the future, because we don’t know. Nobody knows. Predict your own future. Crunch your own numbers. Do your own stress test. That’s really what matters. So excellent. Well thanks very much, Scott. Doug Hoyes: It’s still early in the morning. We’ve got lots of clients waiting so we’re going to get to them. Thank you for doing this. There will be, as always, full show notes and a full transcript at Hoyes.com, that’s H-O-Y-E-S dot com. And we’ll put links to what we talked about at the end of last year as well, and put a link to the Hoyes/Michalos homeowners bankruptcy index so you can track that, so please check that out. And until next week, thanks for listening; I’m Doug Hoyes with Scott Terrio. That was Debt Free in 30.